Thought these would make fab gifts - new range out - I bought the Penguin last year & it was lovely! I don’t need this dinosaur. 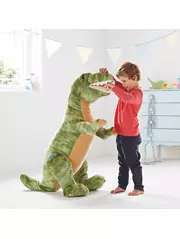 Nor do I have children to buy this dinosaur for. BUT, I want and have to have this dinosaur. shame there's no donkeys eh? Hmm the unicorn in store is £12.99 seen at 2 different asdas. Wanted to buy but a bit too girly for my son. I cannot find the dinosaur on the website. Can someone give me a direct link to it, please? We have KOTA the triceratops in the house. The T-Rex would be a good compliment. We got the unicorn for our daughter for last Christmas,she absolutely loved it,it is huge though and takes up her bed! I cannot find the dinosaur on the website. Can someone give me a direct …I cannot find the dinosaur on the website. Can someone give me a direct link to it, please? Click 'get deal' and scroll down a little. That's odd. You using the browser or the app? Only get them used now. Stopped making them about 6-7 years ago. Can a two year old ride on the alpaca? 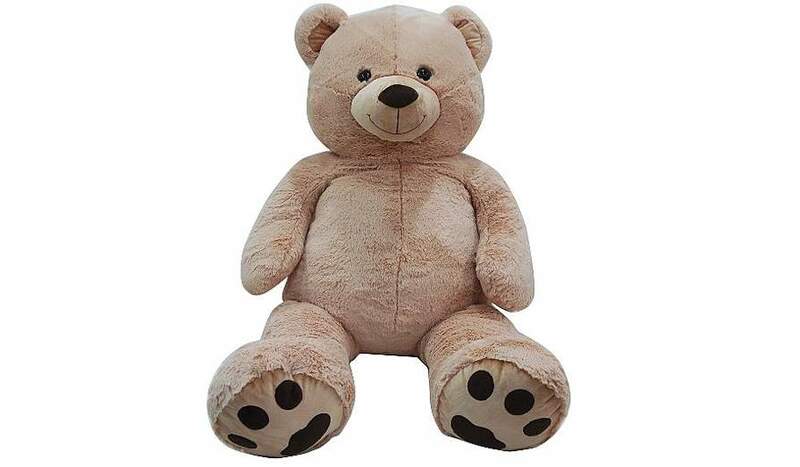 Or the teddy is better? Or the unicorn? I can’t decide which one to get? Do they have them in store? 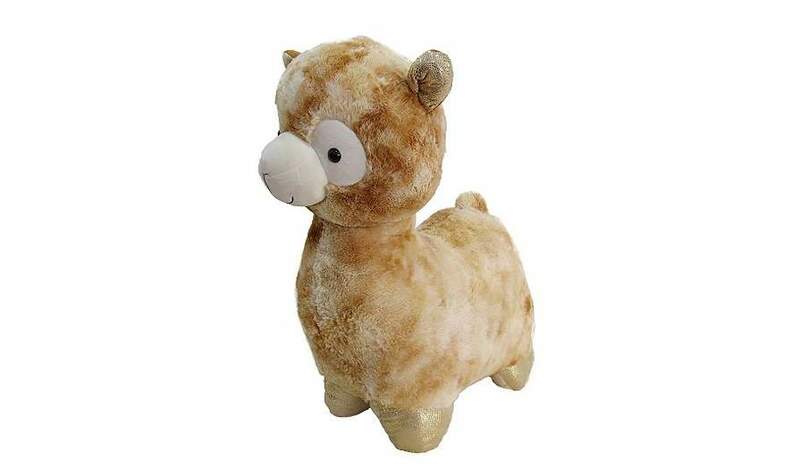 I'm sure I saw the Al Paca in store at a reduced price of £10 at the Roehampton store in SW London as we looked at buying it for our 20 month daughter...she didn't seem too interested in it, so put it back on the shelf. Hmm the unicorn in store is £12.99 seen at 2 different asdas. Wanted to …Hmm the unicorn in store is £12.99 seen at 2 different asdas. Wanted to buy but a bit too girly for my son. That'll be a smaller version. These ones are huge, got my daughter one last year it's almost as big as her single bed. 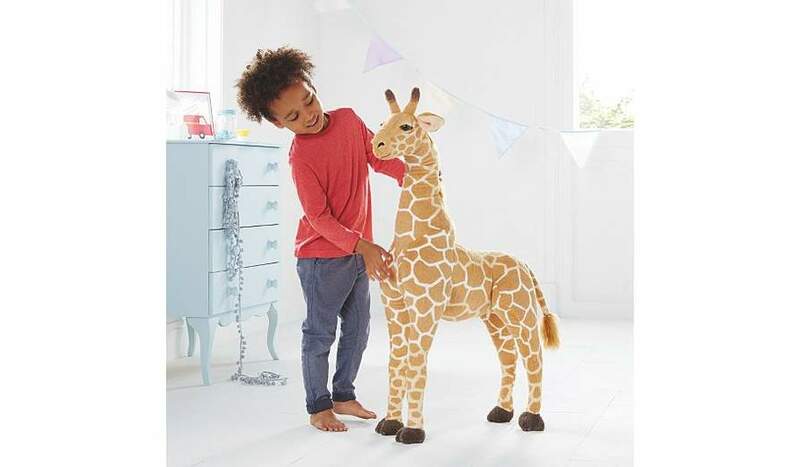 I'm sure I saw the Al Paca in store at a reduced price of £10 at the …I'm sure I saw the Al Paca in store at a reduced price of £10 at the Roehampton store in SW London as we looked at buying it for our 20 month daughter...she didn't seem too interested in it, so put it back on the shelf.Bargain price though! Did they have the trex or cuddly bear please? C+C doesn't seem to be option in London either! That'll be a smaller version. These ones are huge, got my daughter one …That'll be a smaller version. These ones are huge, got my daughter one last year it's almost as big as her single bed. It did say was £20. First one I seen was in my local asda but I couldn't find the price, when scanned came up at £12.99. That was couple weeks ago. I seen the same couple days ago at another asda. Even the alpacas were cheaper in store as well. Confusing. O well. 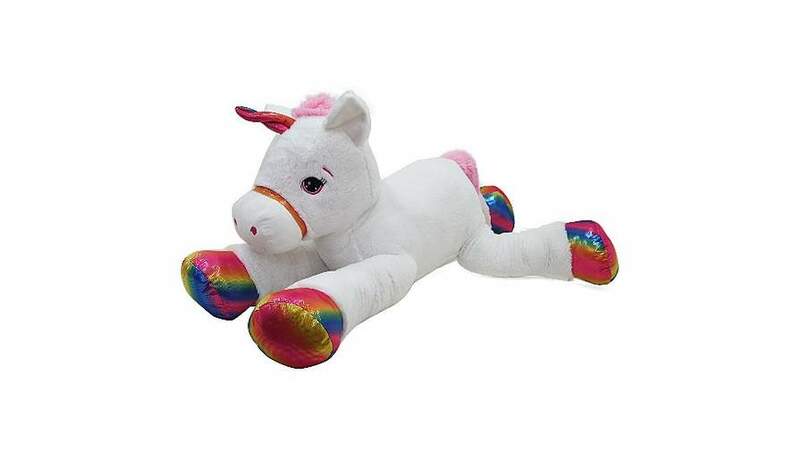 If anyone does want the £12.99 unicorn, there were a couple in the accrington asda. 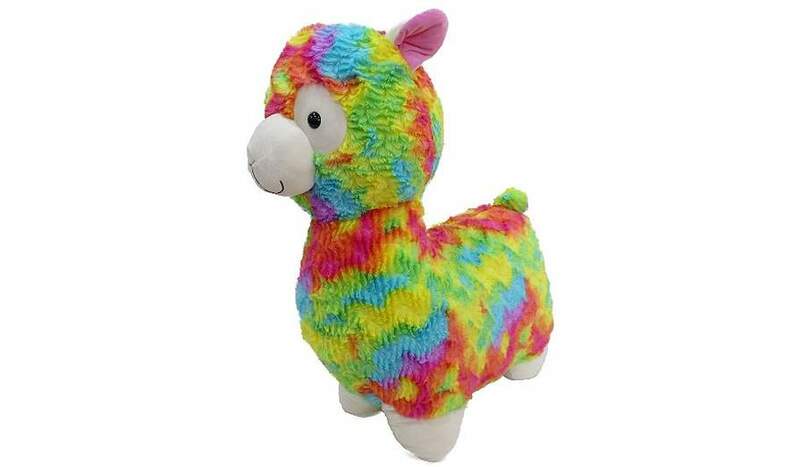 Only the giraffe and unicorn are in stock. did anyone actually ever receive their t rex? I was due delivery by Tuesday, never arrived, and now I'm told it was apparently damaged in transit and can't be replaced. I don’t need this dinosaur. 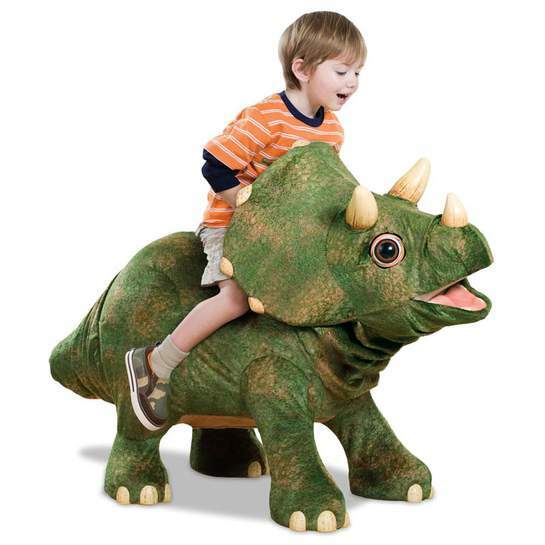 Nor do I have children to buy this dinosaur f …I don’t need this dinosaur. 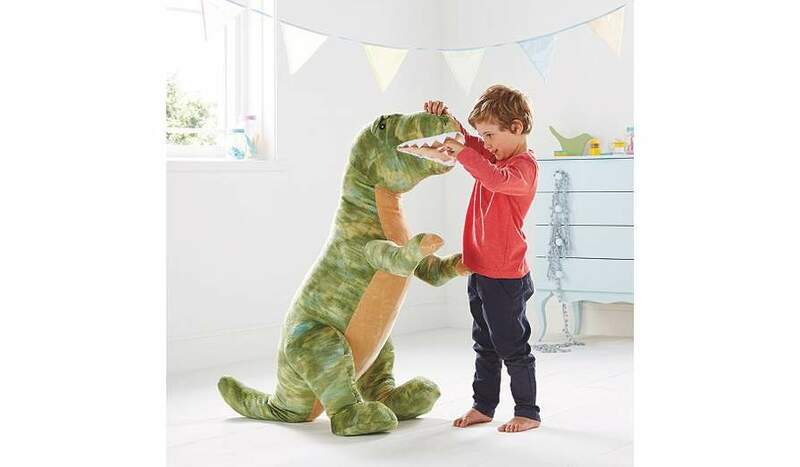 Nor do I have children to buy this dinosaur for. BUT, I want and have to have this dinosaur. I'm seriously thinking of getting it for the dog!